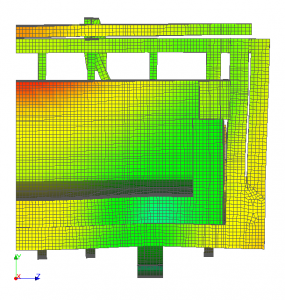 A brief summary of a Biscarri Consultoria project developed for La Farga Group, consisting on the thermo-mechanical simulation of a Cast Copper Furnace. 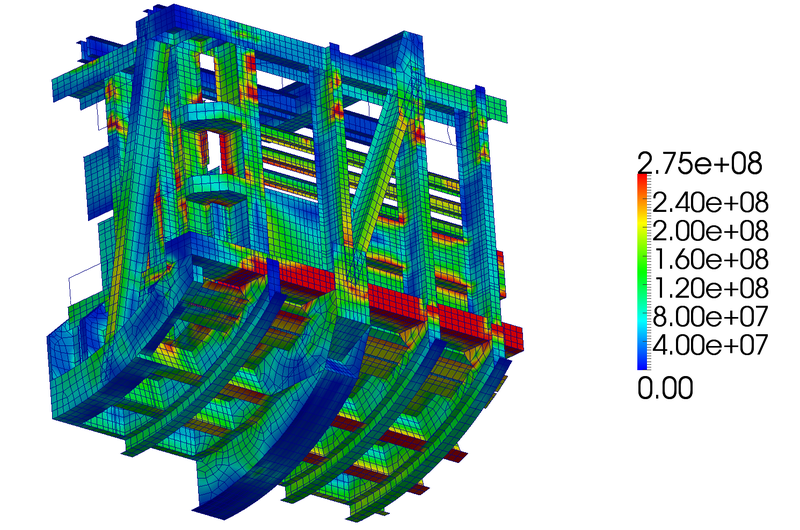 The CAE software employed is the open-source suite Code_Aster. 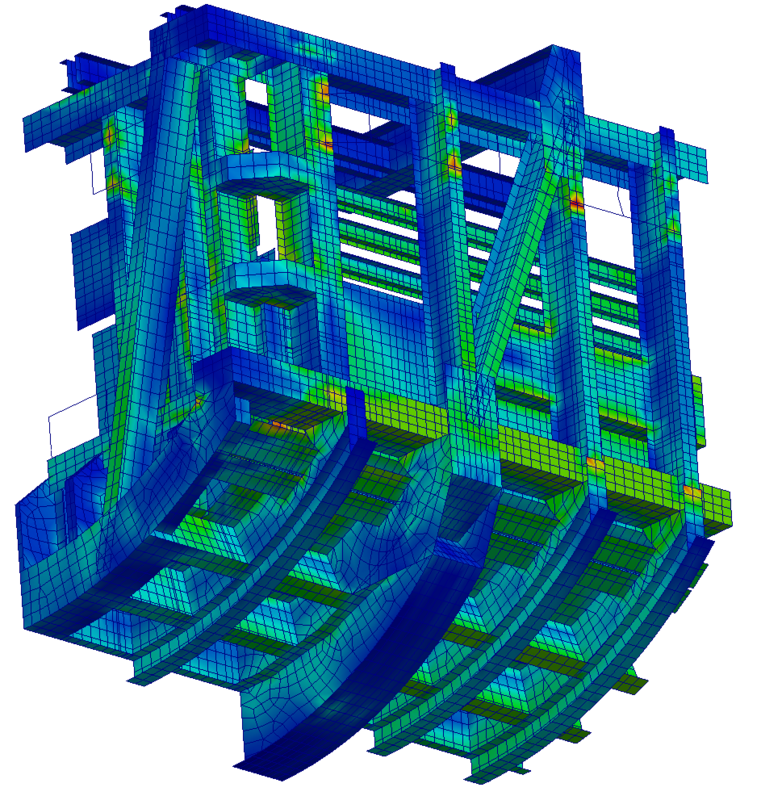 The numerical model consists of the structure finite element mesh (shell elements) and the inner refractory brickwork finite element mesh (solid elements), coupled through contact algorithms. 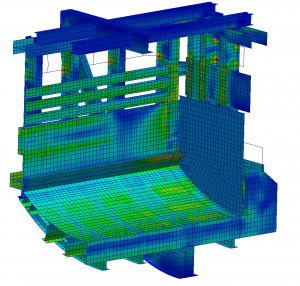 A first linear thermal analysis calculates the temperature distribution of the whole model (refractory + structure) arising from the service temperature inside the furnace. A second non-linear static analysis calculates stress and strain distribution on the model due to gravitational loads plus thermal dilatation loading, which is applyed in an incremental way through 100 load steps. This analysis is fully non-linear because of the presence of contacts, the use of elasto-plastic material law for the steel and material properties being temperature dependant, such as Young’s modulus and Thermal Dilatation Coeficients. 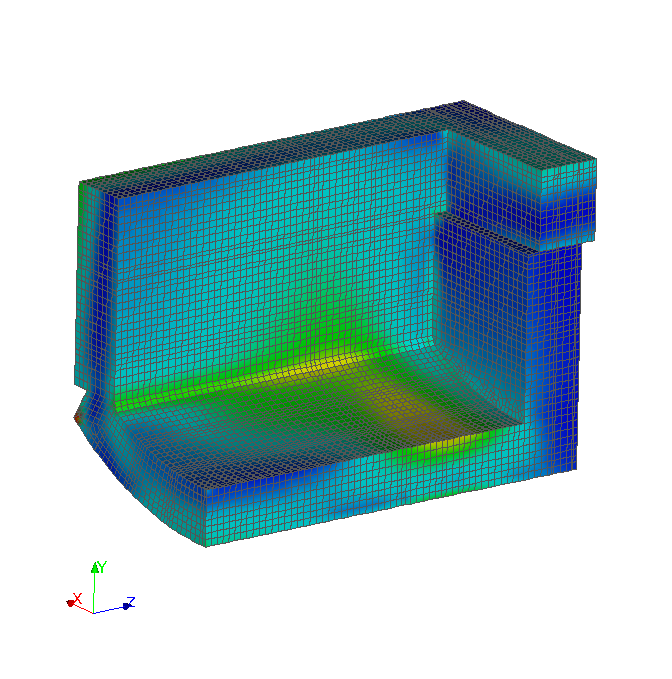 The figures show stress distribution in the structure and the refractory brickwork, and deformed geometry by gravitational loads.